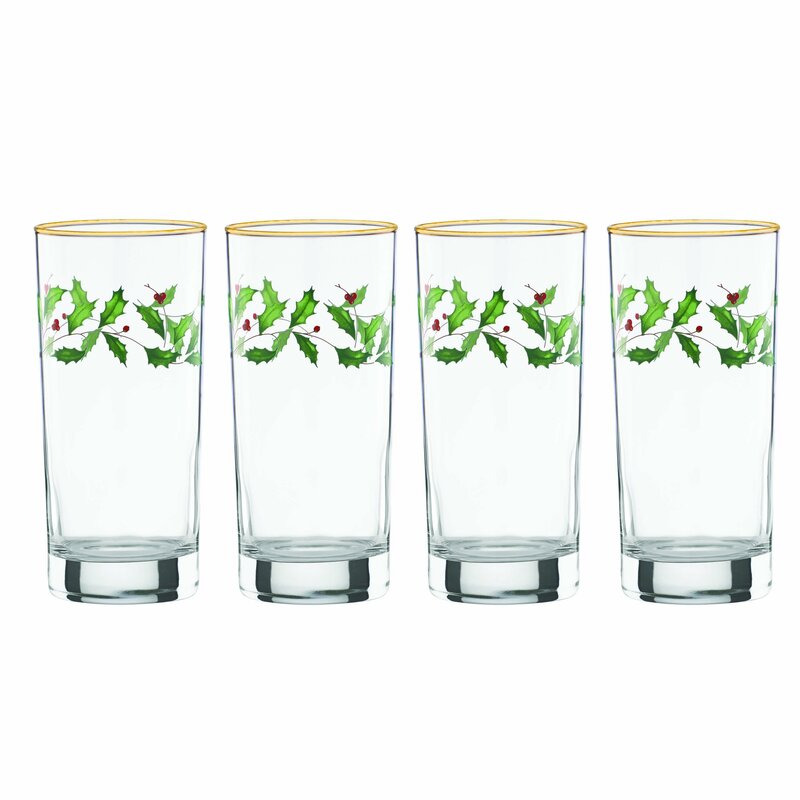 Style Name:Hiball Glasses, Set of 4 Introduced in 1974, the Lenox Holidaypattern became an instant classic, growing in popularity to become the 1seasonal dinnerware in America. The iconic holly design combines with thelegendary quality that only Lenox can offer to create a collection that hastranscended generations to help make the most special time of year even morememorable. Best of all, this legendary collection is created by Lenox,Americas first name in home entertaining, known around the world for offeringa unique combination of design artistry and superior quality for over 125years. The confidence that Lenox has in the unmatched durability of everyproduct they offer is backed by a lifetime breakage replacement policy toguarantee many years of enjoyment to each customer. Make all of your seasonaltoasts in high style with these beautiful Holiday Highball glasses crafted ofnon-lead crystal and available in a set of 4.